Clive Owen lives in Highgate, London with his wife Sarah Jane and their two children. He also has a home in North Essex. Owen was born on October 3 1964 in West Midlands, England. He has four brothers. His father Jess deserted the family when Clive was just three. He and his brothers were raised by their mother Pamela and stepfather. He was not interested in acting. But his inability to find work forced him to enroll in a drama school in 1984. Owen graduated three years later. He would perform in several Shakespeare plays. He met his wife during this time (he was playing Romeo and she played Juliet). 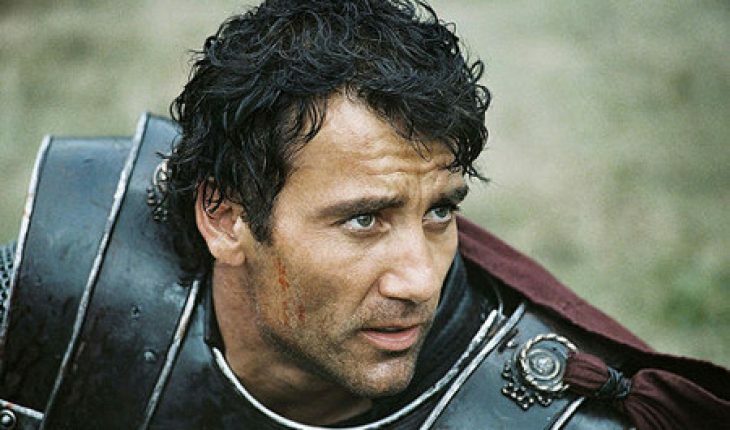 Clive Owen started his career on TV in the UK. He became known for his appearances in Chancer, Precious Bane and the TV movie Vroom. His film career began taking off with his solid performance in the 1991 film Close My Eyes. His succeeding films included Doomsday Gun, the Turnaround and Sharman. He also earned acclaim in the theatrical play A Day in the Life of Joe Egg. The play was about the life of a man and his mentally challenged daughter. His first big Hollywood film came in 1996 when he starred in The Rich Man’s Wife with Halle Berry. He followed this up in 1998 with the critically acclaimed Croupier. The following year he starred in the BBC film Split Second as a cab driver. He also appeared in the BBC series Second Sight. Clive Owen became well known to Americans with 2001’s the Driver in the Hire. He subsequently appeared in films like Gosford Park and the Bourne Identity with Matt Damon. He also assumed the lead role in King Arthur. His recent works include appearing in the suspense film Sin City and Inside Man. He also started in the comedy film Pink Panther, playing agent 006. Owen also starred in the movie Elizabeth II. In 2009 he starred in the International. He also appeared in the TV show Extras. He has also appeared in the movie Shoot Em Up, I’ll Sleep When I’m Dead and Beyond Borders. Owen is a supporter of Liverpool FC. He enjoys listening to the music of Hard-Fi. In the 2004 film Closer, Clive Owen won a Golden Globe and he also received numerous awards and nominations for his role in the film Children of Men. He is also a fan of Electric Palace Cinema. There were also rumors that he was supposed to play James Bond after Pierce Brosnan left. There were polls showing Owen as being favored by fans to play the role of 007. But the role went to Daniel Craig. In subsequent interviews, Owen said he was not even offered the role. He is scheduled to reprise his role as the bank robber in the sequel to Inside Man. Clive Owen has attained success on both sides of the Atlantic for his ability to bring life and realism to whatever character he portrays. In an interview, he said it is simply about giving everything to whatever role is assigned.